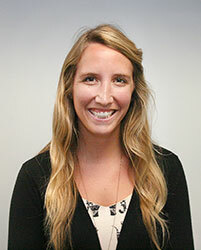 Kaitlin began working for the agency on Aug. 21. As a community planner in the Planning Services Division, Kaitlin is already assisting with revisions to a township zoning ordinance and updates to municipal comprehensive plans, and will also perform monitoring for projects that are funded through the county’s Vision Partnership Program. Kaitlin comes to the Planning Commission from Cincinnati, Ohio. She now resides in Media, Delaware County with her husband Nick. Kaitlin loves to hike and rock climb and is excited to explore all the parks and farms in Chester County. She previously worked as an economic development specialist for Northern Kentucky Tri-ED, a regional economic development agency that focuses on attracting and retaining primary industry companies in Boone, Kenton, and Campbell counties. Before that, she served as an intern for several agencies in the areas of real estate, sustainability, and historic preservation. Kaitlin has a bachelor’s degree in environmental earth science and a minor in management and leadership from Miami University in Oxford, Ohio. She also has a master’s degree in community planning from the University of Cincinnati.